I will be with my son today. 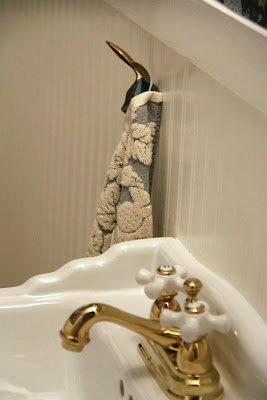 having his nose put back the way God Intended it to be….and so I thought I would share some of the photos from this, one of my Favorite room makeovers….I think, because I did everything all by myself!! 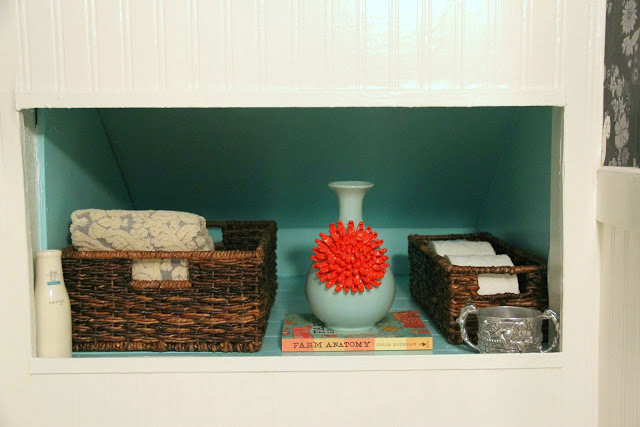 was the “ball that started it all….” the first room in the 5 room Winter Makeover series…. 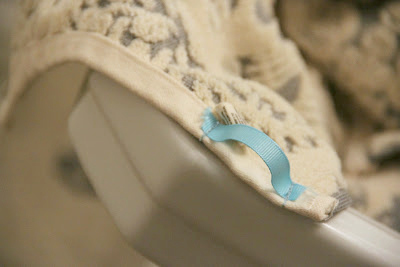 I sewed grosgrain ribbon loops on the hand towels to help the kids remember to hang them up…it has been 100% successful! I removed the sliding doors, to paint the inside of the cabinet, with every intention to replace them afterward. I normally store my paint in there. 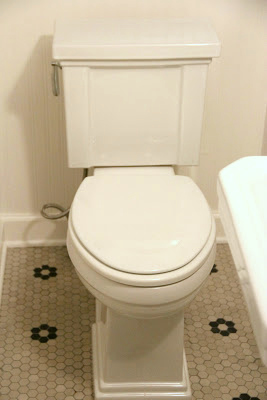 Who ever had the brilliant idea to start making toilets more attractive is a GENIUS in my book. 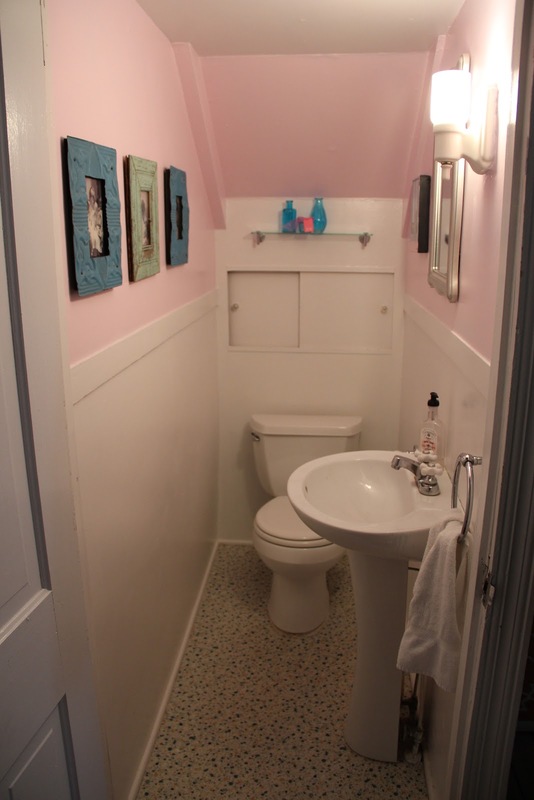 I mean, toilets are the centerpiece of most bathrooms, so why shouldn’t they have some style? 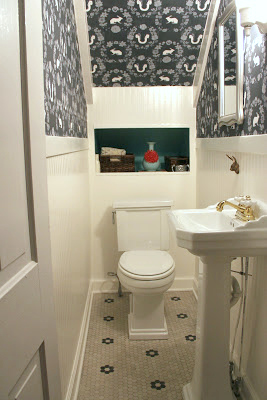 I adore this TRESHAM toilet by Kohler. 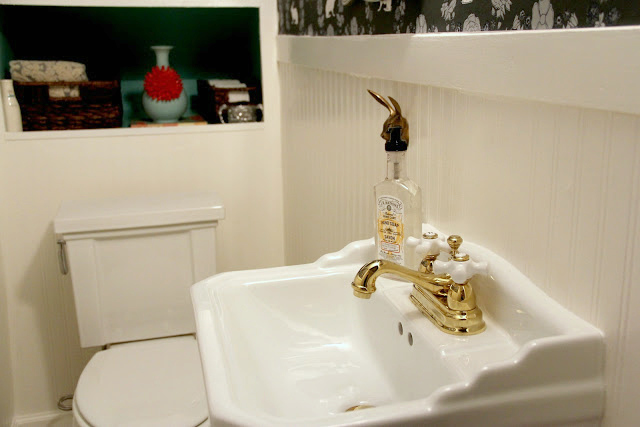 It has similar lines to the Vintage inspired Pedestal sink and is very water conserving to boot!. I did not change the light fixture. Just cleaned it up a bit. I love it. We got it when we first moved in. It is from Rejuvination lighting and it is called the “ADRIAN” fixture. We needed a fixture that could be turned off right on the light itself, not with a switch. I look at this room and it makes me so happy. I proved to myself that I can do it! 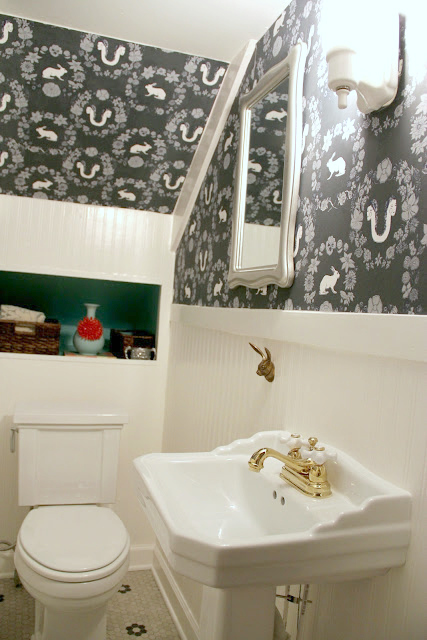 I tackled tasks I had never done like removing a toilet, a sink and the floors and I boosted my confidence by laying tile and hanging very complex wallpaper as well as the bead board wallpaper. I DID IT!!! and I LOVE IT!!! Oh Lesli! I hope your son recovers quickly – that would be so scary! I also hope your photo shoot goes smoothly!! 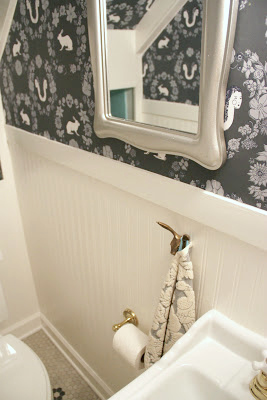 It’s fun looking at your powder room makeover again – it’s SO lovely!! Thinking of you and your son. I hope all goes well today.